Lava Mobile Phones - high on technology low on price. 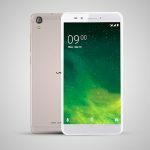 As one of the leading innovators in the mobile industry right now, Lava is a new manufacturer that is offering one of the hottest brands in the market today. With an emphasis to promote quality and affordability, Lava mobiles are profitable not because of high prices, but because of in-house research and development that is centered right here in India. You'll find this dedication to innovation will pay off for you thanks to phones that have up to 8GB of internal memory, separate user memory of up to an additional 5.3GB, and expandable memory through MicroSD of another 32GB. What does that mean for you? It means that you can have the power of a computer, the mobility of a tablet, and the versatility of a phone all in one convenient product. Are you ready to compare Lava models to determine which mobile is the right one for you? 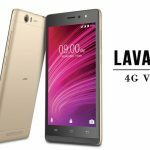 Why Choose a Lava Mobile Phone? Whether you're looking for an advanced mobile like the Lava Iris or you just want an entry-level mobile like you'll find in the Lava Arc, each phone has certain strengths that will help you take advantage of the benefits of this manufacturer. It comes from the three core values that Lava places into each product they create. • Integrity. Each Lava mobile comes with a 1 year manufacturer warranty that guarantees the craftsmanship and materials of the phone. If your product fails for some reason through no fault of your own in the first 12 months, you are covered. • Excellence. What you'll find with this manufacturer is a highly competitive mobile that gives you access to Google Play and the world of apps through a very easy to use interface. The passion that Lava has for mobile phones shows in how easy they are to use, the length of battery life, and even the inclusion of sensors that will give you access to proximity, acceleration, and gravity data should you need it. • Adaptability. Technology is constantly evolving and changing, which is why you see Lava adapting to these changes with each introduction of a new model of mobile. With Wi-Fi, USB, and Bluetooth connectivity included on many of their phones, screen sizes that approach 6 inches, and some models offering true HD resolution through multi-touch end-to-end lamination, you'll be able to get as few or as many features you need in your next mobile. It's easy to find the right mobile for you. Just compare and contrast the features of your preferred Lava models and you'll be able to find the best phone at the best price today! Founded in 2009, Lava has become one of the fastest growing companies in the world today. It's one of the nation's Top 100 brands because it focuses its research based on the feedback of its consumers. That means people like you help to shape and mold each new line of mobiles that Lava releases! You'll see the difference from the moment you pick up one of these phones because of stunning features that each one has. 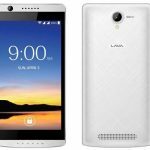 If you want a powerful phone for an affordable price, then take a look at the price list for Lava mobiles today. You're certain to find the right combination of price and versatility to meet all of your needs! 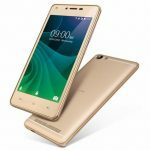 Lava A97 with Marshmallow and VoLTE for 5,949/- INR now up for grabs!